If you want your guests or business partners to have a nice home during their visit, then we would be pleased to welcome them in our “Haus Mariand´l”. 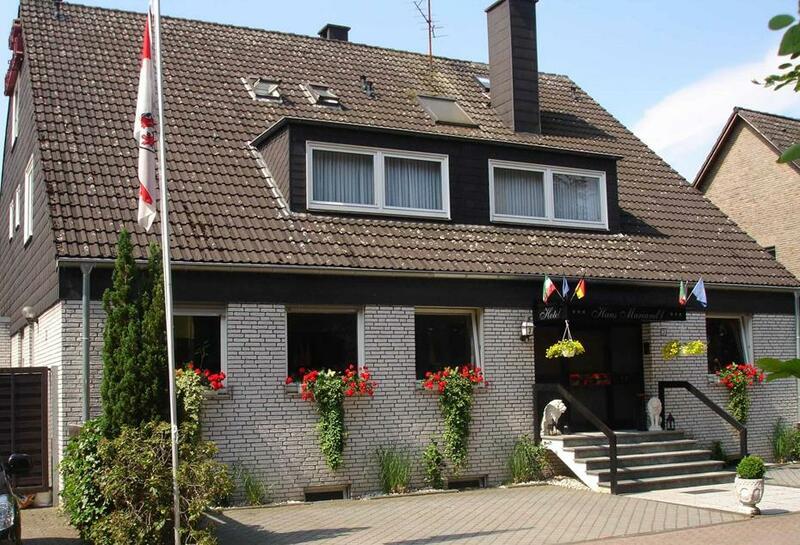 Our house lies in a very quiet part of the “Town of Roses” Angermund, between the cities of Krefeld, Duisburg and Düsseldorf. 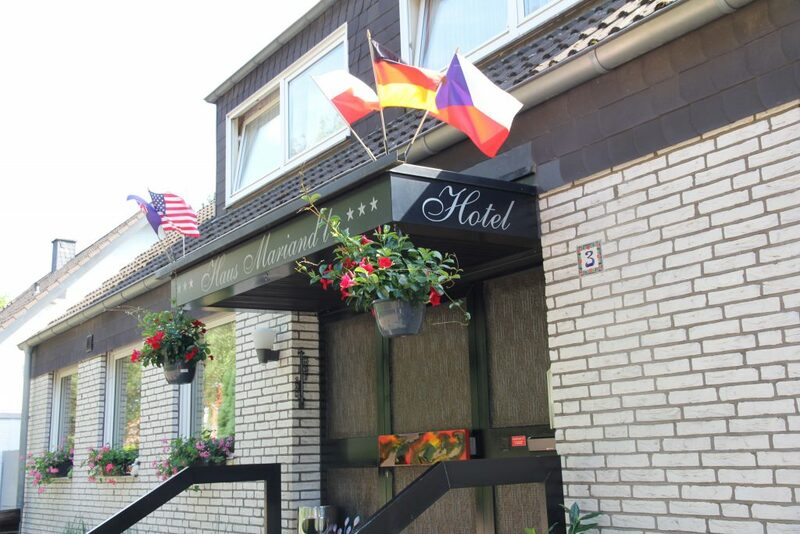 You are near the Exhibition centres of Essen and Düsseldorf, which you can reach easily by Car or Train. 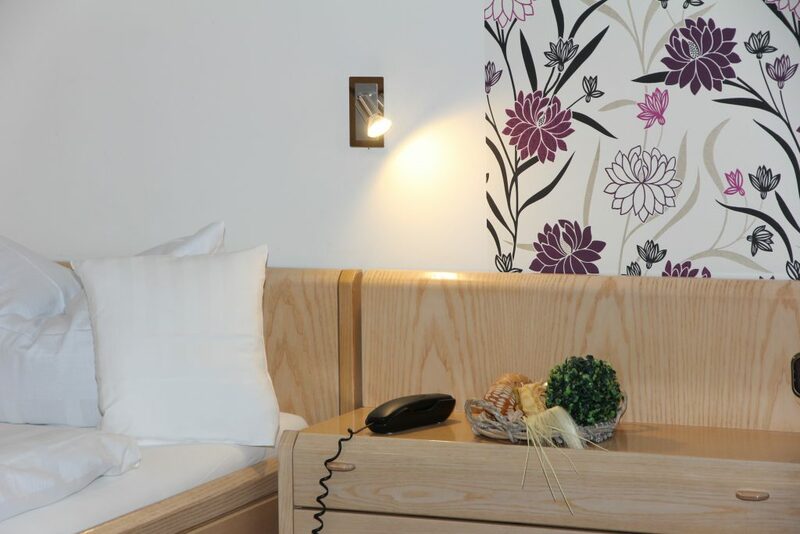 You can expect a family-run hotel in the north of the North Rhine-Westphalian state capital Düsseldorf. 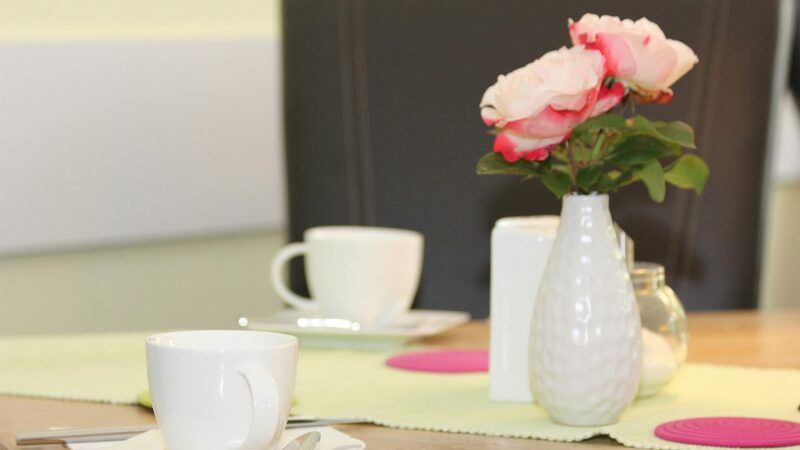 You expect a total of 16 double, multi-bed or single rooms, furnished in modern country house style and comfortably equipped.The rooms in our house are furnished in country style, and equipped with flat screen, mini-bar, shower and toilet. Some rooms also have a balcony or terrace. Angermund is the northernmost district of Düsseldorf and surrounded by fields and forest. In 1188 Angermund received city rights and became one of several administrative offices in the Duchy of Berg. Testimony to the importance of Angermund in the Middle Ages is still the water castle from the Staufer period at the end of the old town center. Also worth seeing are the parish church of St. Agnes and the park at the headquarters of the Counts of Spee at Castle Heltorf. With good service, we respond to the wishes of our guests and create well-being – not only with a good start to the day. Whether on business or privately – Düsseldorf is always worth a visit. For over 25 years, we provide for special hospitality; our regular guests appreciate this.